I am doing this a day early since I have a fun post tomorrow that goes along with my previous 2 posts. This lovely week was my taper week! I really do love taper week! So wonderful. I know that I will enjoy doing less mileage from here on out because my body was so happy with it this week. I won't do this small amount of mileage but it will be along these lines. I had planned on going to prenatal yoga on Thursday and doing a mile-mile and a half before but I was so busy we didn't make it. I wanted to do at least 1/2 the 1/2 marathon this week through walking and running but didn't make it. That is ok. I feel ready for tomorrow and that is all I need. Pregnancy is going well too. The first 1.5 miles really hurts because my body doesn't want to move as much but after that point I am fine. I guess that is how any body is though pregnant or not. Kind of interesting. 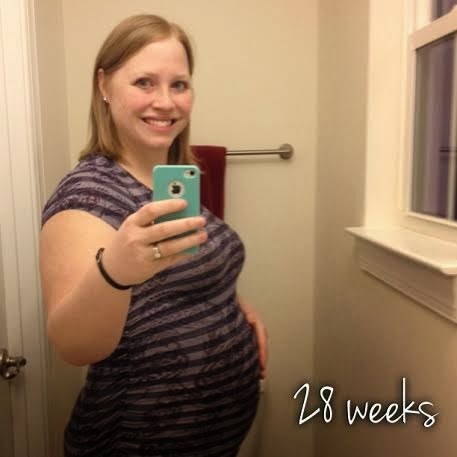 All I am thankful for is that my body is allowing me to move as much as I do pregnant.